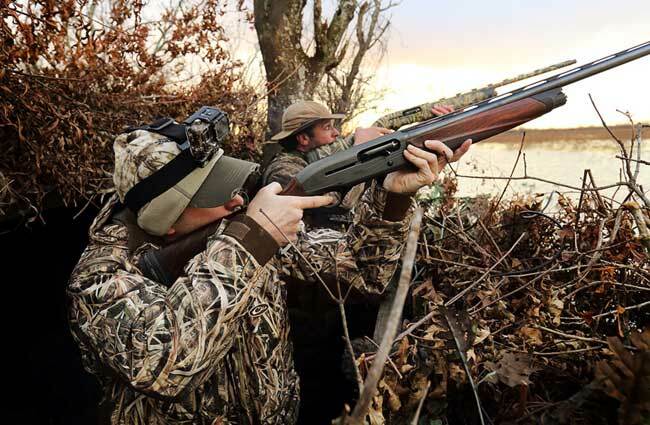 Editor’s Note: Jason Patterson from Jackson, Tennessee, has been hunting waterfowl for more than 20 years and is the original Pro Staff Manager for waterfowl on the Mississippi flyway. He primarily guides in northeast Arkansas and west Tennessee. 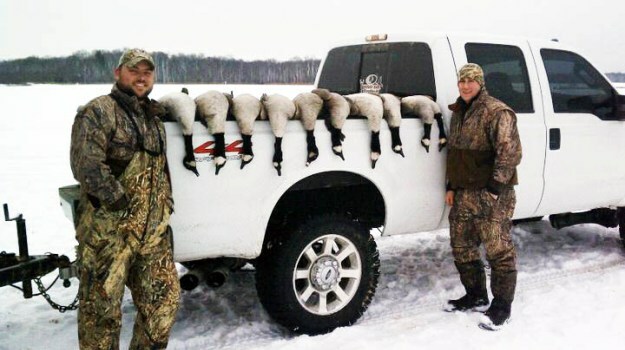 The early season on the Mississippi flyway in 2014 was really good for waterfowling. We had some cold weather right before Thanksgiving that brought a large number of ducks down for the opening week of waterfowl season. Quite a few hunters reported taking limits of ducks on opening weekend, but after Thanksgiving the weather stabilized, and our area has had a fairly warm winter. Duck hunting around here has been hit or miss since opening weekend. The Mississippi flyway is weather dependent, however what many waterfowlers don’t realize is that not only cold weather from the north brings waterfowl down the flyway, but warm weather from the south sends ducks back up the flyway. One of the best weekends we had, after the opening weekend of the 2014 season, was the weekend right after the first of the year when we had ducks moving from south back to north. Many hunters have asked “How can you tell if the ducks you are hunting are coming from the north or the south?” The majority of the blinds I hunt from face either north or east, and the rivers we hunt in the Mississippi flyway run from the north to the south. Migratory ducks generally follow the river systems, so when we see ducks coming down the rivers, we know they’re coming from the North. When we spot ducks coming up the rivers, we know they’re coming from the South. Now the exception to the rule is local ducks. The way we can tell the difference in local ducks that stay in our area all year long and flyway ducks that come in from the north or the south is that flyway ducks usually stay higher in the sky and are generally in larger flocks than local ducks. I primarily hunt around Jackson, Tenn., Reelfoot Lake and Kentucky Lake. I’ve been asked “What makes ducks come from the south and return to the north?” I’ve learned that any time the weather reaches 50 or 60 degrees, the ducks in the South will fly back to the North. The ducks know there’s more food in the North when ponds and lakes aren’t frozen. I believe that when we catch a warm front coming from the south and moving north, the southern ducks will fly many miles north in a day, depending on food availability. They’ll usually stop when they run into snow and ice and don’t go any further north when they hit that cold weather. They know the local water will be frozen, and the grain and the grass in the fields will be covered in snow and ice. If the warm weather pushes all the way to Missouri, then that’s where the ducks will hold. In the Bootheel section of Missouri are numbers of rice fields, corn fields and wildlife refuges. 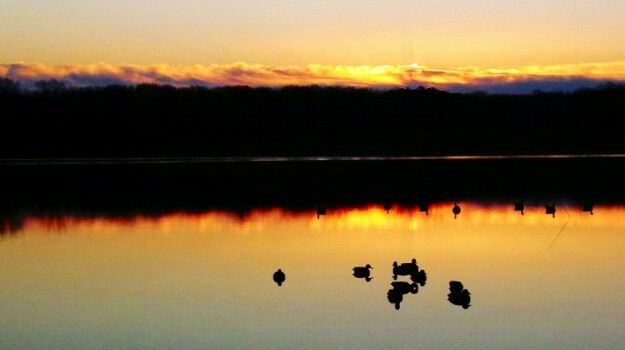 That’s why Missouri has outstanding waterfowl hunting on warm fronts and cold fronts. Just across the Mississippi River from Missouri is Reelfoot Lake. It homes several waterfowl refuges. Generally Reelfoot Lake will have ducks during the entire duck season because Reelfoot and the waterfowl refuges on Reelfoot seem to be a stopping point for the ducks coming from the north and the ducks moving from the south. Anytime there’s a cold front moving in, Reelfoot will get loaded with ducks, and any time there’s a warm front coming in, Reelfoot will get loaded with ducks. That’s why this is one of my favorite places to hunt. 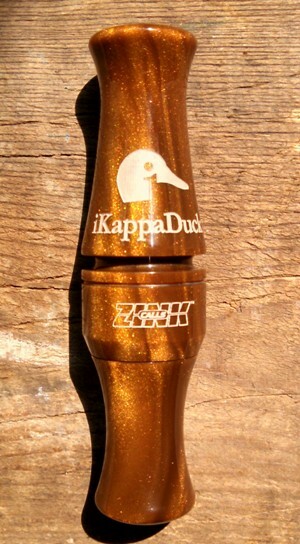 To learn more about Jason Patterson and the areas he hunts, you can go to www.ikappaduck.com or contact him at jason@ikappaduck.com. Petersen’s BOWHUNTING magazine today announced the launch of its Country Superstar Sweepstakes, featuring Rascal Flatts vocalist Gary LeVox. The sweepstakes – co-sponsored by Mossy Oak, SCENTLOK and Bowtech Archery – gives readers an opportunity to win prizes that include a customized Epiphone Les Paul electric guitar autographed by LeVox, two Bowtech Prodigy bows and three complete sets of SCENTLOK hunting apparel. All prizes feature Mossy Oak’s new Break-Up Country camouflage. I hunt just off the Mississippi River on private land. On Thanksgiving weekend, 2017, we saw mallard, ring-necked duck, teal, gadwall and pintail ducks. We spotted over 100 flights of ducks coming down the Mississippi River from the North. We were able to work about 20 different flights each day into our decoys. On March 15, the Mississippi State Baseball team took the field wearing Mossy Oak adidas jerseys. 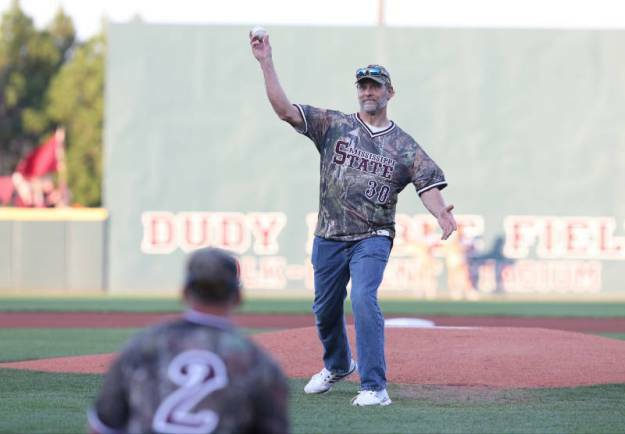 Toxey Haas, founder of Mossy Oak, and his father Fox Haas threw out the ceremonial first pitch of the game. 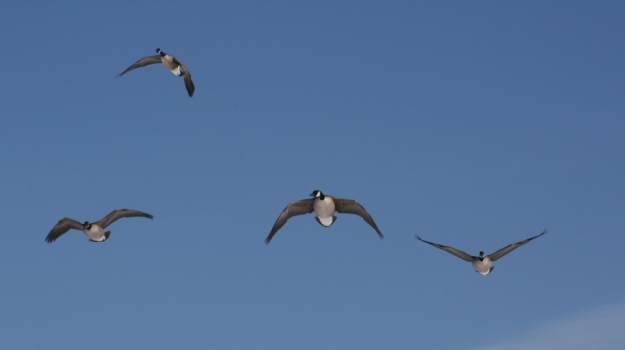 Should You Hunt Resident or Flyway Geese?